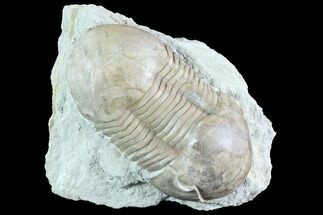 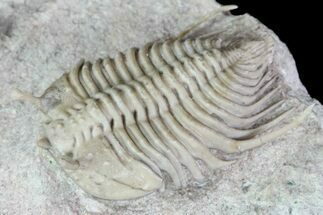 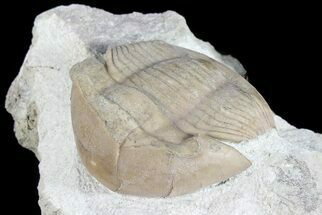 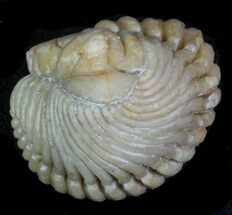 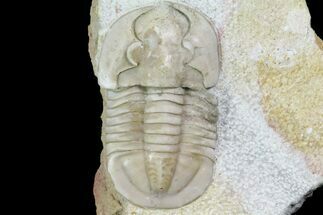 This is a very elegant, stalk-eyed Cybele bellatula trilobite from the Voibokalo Quarry in the St. Petersburg region of Russia. 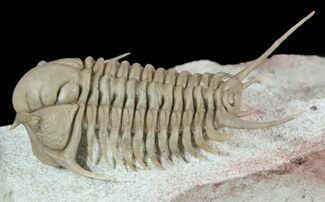 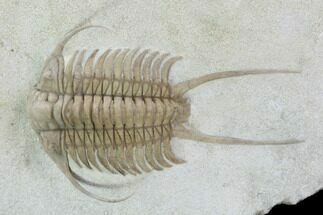 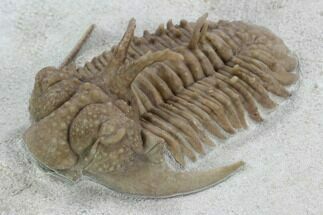 It's 1.25" in length and magnificently prepared with the stalk eyes intact and flowing spines. 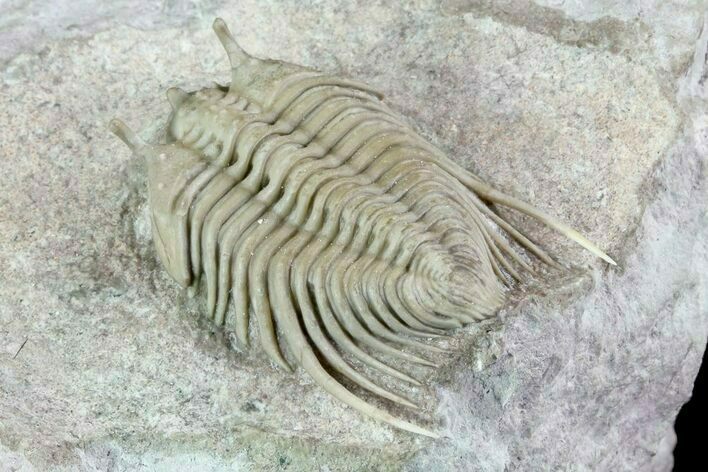 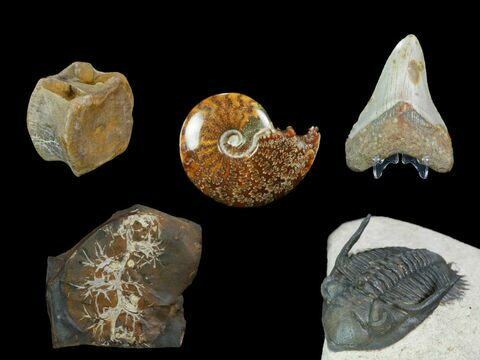 There is only a small amount of restoration on the longer spines tips that were running off of the rock. 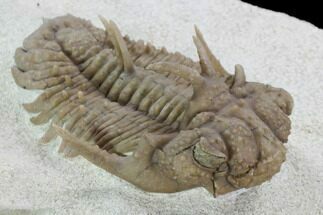 A beautiful specimen.